Vandals have destroyed a Holocaust memorial in eastern Poland dedicated to Jewish victims. Vandals have destroyed a memorial to Jewish victims of a World War II pogrom in eastern Poland. The site, located in the town of Jedwabne, marks the horrific attack in which hundreds of Jews were burned alive by their longtime Polish neighbors in a barn in 1941. Spokesman Andrzej Baranowski from the nearby Bialystok Police department added that an investigation was immediately launched into the vandalism. This was not the first hate crime directed at the area's small Jewish and Muslim communities, as well as a tiny Lithuanian minority, the Reuters news agency reported. The Polish Interior Ministry this week told reporters that all the recent anti-Semitic and xenophobic incidents have probably been carried out by the same perpetrators. “This is a perfect example of vandalism and stupidity, but we don't know the exact motives yet,” Baranowski cautioned. July 10, 2011 marked the 60th anniversary of the massacre, a date on which Polish President Bronislaw Komorowski formally apologized to the Jews in a letter read at a ceremony which took place at the monument. The Polish government closed its investigation into the pogrom in 2002, concluding that between 300 and 400 Jews lost their lives in the massacre at Jedwabne. 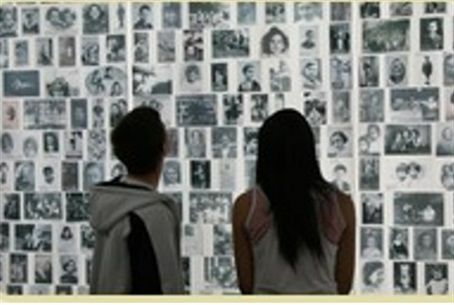 However, Polish emigre historian Jan Tomasz Gross contends that some 1,600 victims were murdered.